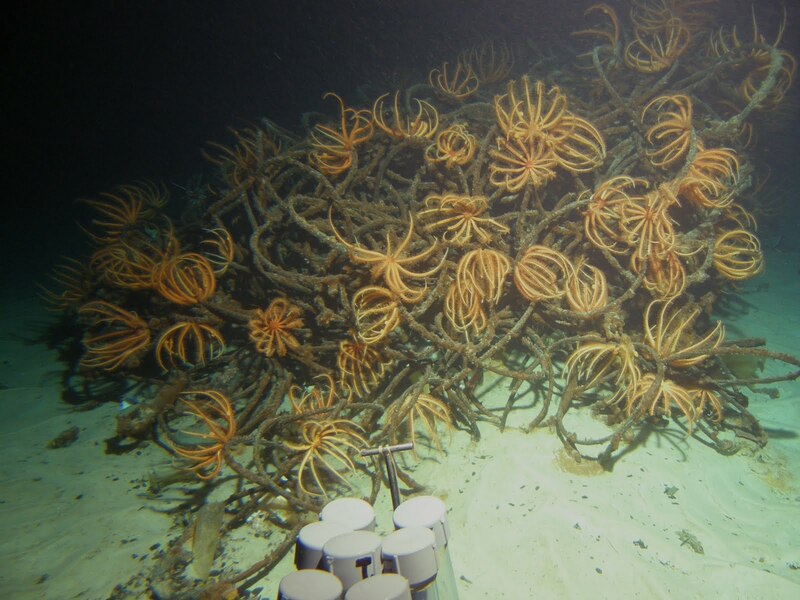 The Echinoblog: The Echinoblog in Hawaii! 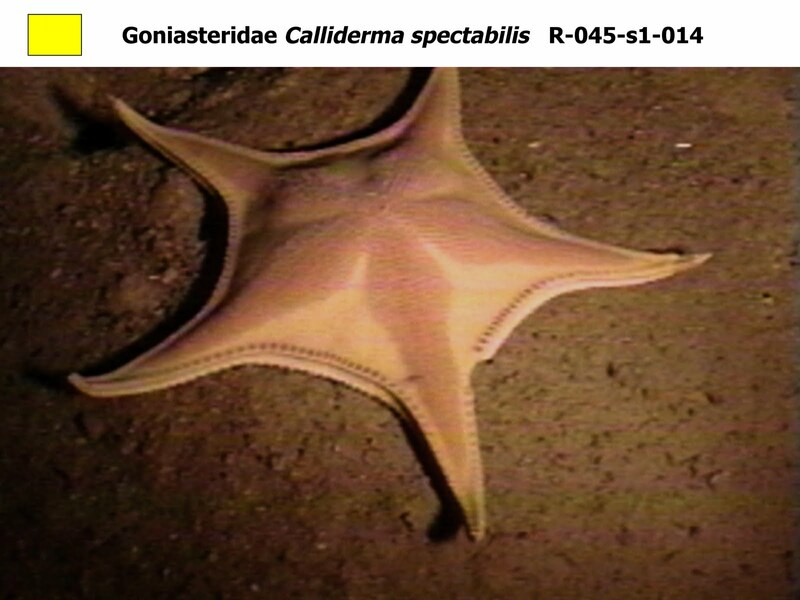 Brisingid Starfish, Mentoring and Musubi! 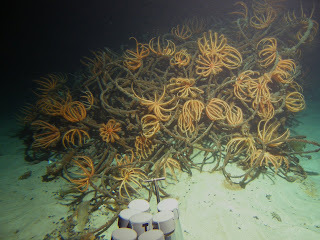 The Echinoblog in Hawaii! Brisingid Starfish, Mentoring and Musubi! So, I was in Hawaii last week on business, visiting some colleagues at the Hawaiian Undersea Research Laboratory at the University of Hawaii, and had intended to treat it as a normal work week. But then, back to the business at hand! A dense community of brisingid asteroids living near Honolulu Harbor. I have previously written about brisingids here. and here. 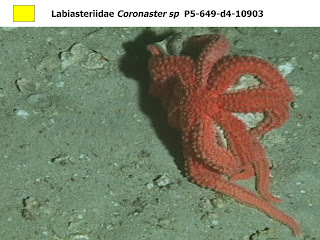 I was also there to work on various deep-sea starfish/sea urchin videos housed at HURL..such as these.. 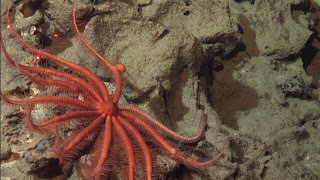 The project is still kind of hush, hush..but we were working on deep-sea brisingid starfishes in the Hawaiian region.. While the kids were doing a LOT with the project, they were also a VERY creative bunch and one of them made this- the world's FIRST posable brisingid asteroid plush toy! I got a smaller version..
and it turns out, there's a hand made ceramic brisingid key chain ornament as well! 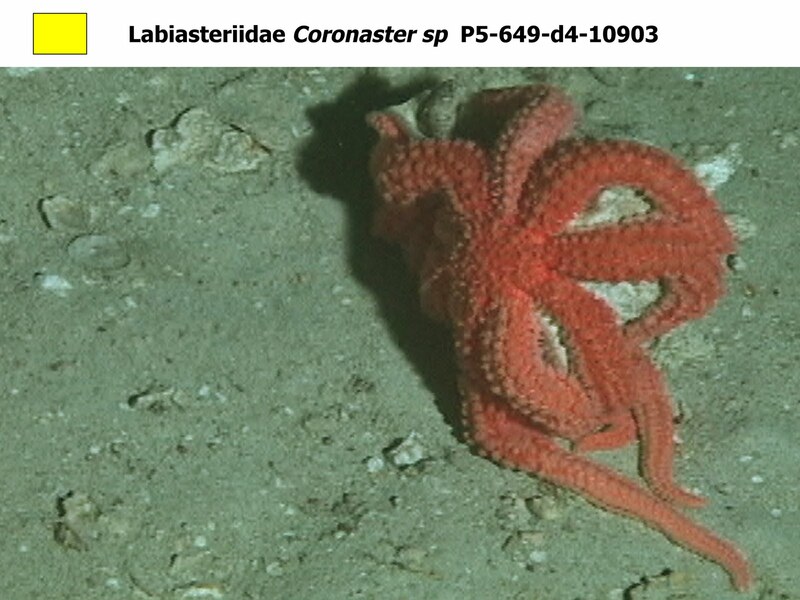 it has lots of tube feet! Great interaction with my students (Erin, Kyle, and Logan) their parents, many new friends! I am particularly thankful for the very gracious hospitality of Margo Edwards and Chris Kelley at the Hawaiian Undersea Research Laboratory! Mahalo to all that were involved!